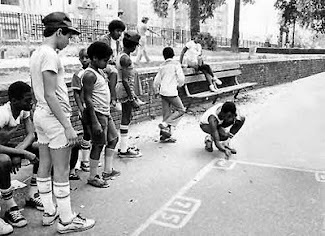 One thing about street ball is the crowd of hecklers. Street ball hecklers are worst than those in the NBA. Well this one fan got more than he bargained for, when his mouth appears to be a little bit too much for Michael Beasley. MB takes his hand, cups the fan's entire face, and then 'MUSH!'. I'm just glad no one got hurt and I expect MB to be a little bit more professional. Hopefully this won't hit his pockets, but I know if I was that fan, expect to get a call from my lawyer MB.